Year of the Water Dragon begins today January 23, 2012, and ends on February 9, 2013. The year of the Dragon brings many possibilities for good fortune. Days of colorful festivals, intense preparations, parades, dragon and lion dances, ﬁreworks display, visits to friends and relatives, and the largest human migration around the world to travel home to attend reunions culminated yesterday with the onset of the Chinese New Year, also known as Spring Festival or Lunar New Year, the most important of the traditional Chinese holidays. New Year’s Eve traditions were observed including the thorough cleaning of homes, wearing of new clothes and shoes, opening of doors, windows, and lights, getting a new haircut, cleaning and repainting of altars, preparation of fruits believed to invite good fortune on tables, and the repainting of doors and window panes. The color red, the emblem of joy and prosperity and which is believed to scare away evil spirits and bad fortune, was liberally used in painting and decorating. 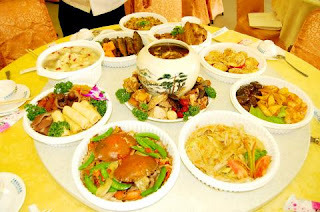 The Eve of the Passing Year reunion dinners were also held serving an abundance of food like ﬁsh, chicken, dumplings, nuts, noodles, and sweets like the popular glutinous rice ﬂour (tikoy) to symbolize prosperity, abundance, longevity, and good fortune as well as in thanksgiving for the blessings of the past year. The celebration of the Chinese New Year traditionally begins on the ﬁrst day of the ﬁrst lunar month in the Chinese calendar and ends 15 days later with the observance of the Lantern Festival. For the Chinese, dragons are the divine mythical creatures that bring with them intense power, ultimate abundance, and good fortune. In Sung dynasty manuscripts, the dragon is described as having the “head of an ox or donkey, eyes of a shrimp, horns of a deer, body of a serpent covered with fish scales, and a feet of a phoenix,” and it usually clutches a pearl symbolic of its supernatural powers. To the Chinese, the dragon is born in the most desirable year and is the mightiest of the signs. felt necessary to find and slay. Free spirits of the Chinese zodiac, people born in the Year of the Dragon are extroverts who have a deep love for nature and are innovative, passionate, enterprising, brave, self-assured, colorful, and flamboyant. Gifted and irrepressible, they are fearless of any challenges that may come their way, able to see clear the paths and take a radical approach to any harsh conditions. Of the 12 signs of the Chinese zodiac, the dragon is the most special and is sometimes called a karmic sign. Bigger than life is very much a dragon thing and in this context we can expect grand things to happen this year. There may be flames and failures, but there will also be spectacular achievements. For those born in the Year of the Dragon, this year is the time to pursue and act on the impossible dream, change the world or at least your life. And for the other signs, it is the best chance to make your dreams come true. The dragon sign is associated with spring and the dragon water sign is likely to become a flowing river rather than a stagnant lake, which means that you need to begin 2012 off to a fast start as things are expected to happen early in the year. Hopefully we used some of the quiet time in the past year to plan your moves for 2012. I am a fire dragon according to astrology this is not our year daw coz it's the opposite of water dragon. kontrahin ko nalang ang malas with positive attitude! ;-! You lost me at the food. Who cooked it? I'm a metal horse, and I hope this year would be a lucky one for my sign.. :) Of course, coupled with perseverance pa rin and diligence siyempre. 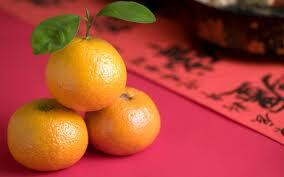 Anyway, happy Chinese new year! i don't know where i belong .the year of the dragon is the most pupular of all. i like to watc hthe dragon festival ,sarap manood.